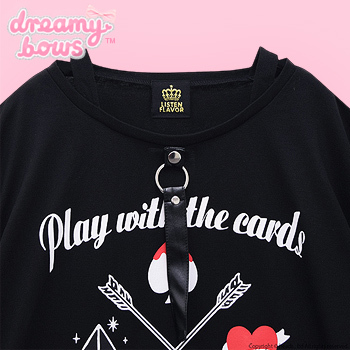 This cool and unique cutsew from Listen Flavor is light and airy, perfect for Spring and Summer. 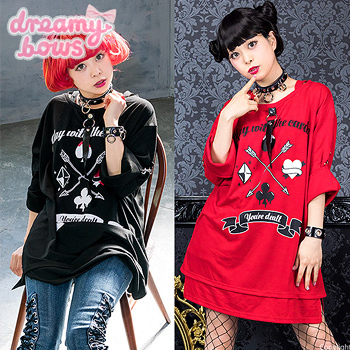 The cutsew features a double layered effect and buckles on the rolled up sleeves for an impactive design. 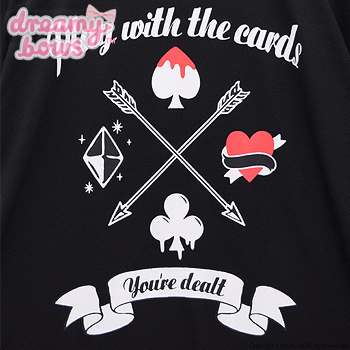 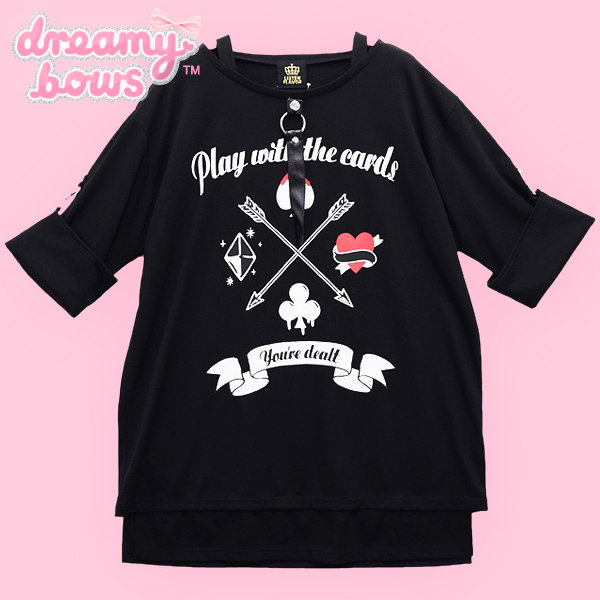 The front slogans read 'Play with the cards' and 'You're dealt' in italic font, the image features playing card suits with dripping motifs. 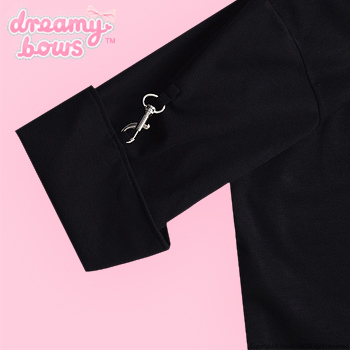 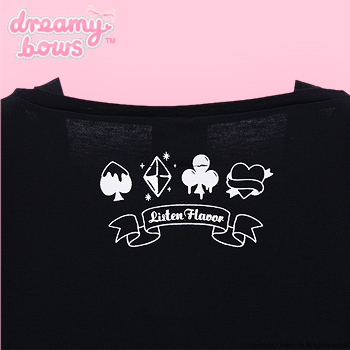 This versatile cutsew is the perfect addition to any dark wardrobe!